Nicky Ringland is one of the founders and the chief evangelist of Grok Learning, an educational startup teaching people how to code in easier ways using the latest technology. The online interactive platform offers coding classes in various programming languages like Python and Logo. Nicky is passionate about "teaching the next generation the skills they need to become the creators of tomorrow," and she simply wants to make coding fun for everyone. 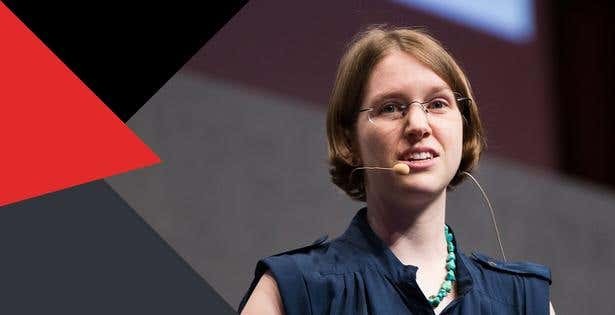 As Grok Learning's lead puzzlesmith, Nicky works with educators and software engineers to achieve the team's ultimate goal -- to cultivate solid computer science understanding among thousands of students across Australia. Through Grok Learning, Nicky aims to bring top-notch STEM education into classrooms and homes around the world. In 2010, prior to co-founding Grok Learning, Nicky was part of a summer project by Google where she worked as a Local Category Specialist. She collaborated with worldwide teams to align Australia-specific taxonomy to global ontologies. Nicky also plays an active role as a tutor and organiser in University of Sydney's Girl's Programming Network. The extra-curricular program is for high school girls in years 9-12 who are interested in technology and computers. It gives the students a chance to meet new friends with similar interests while exploring computer science in an encouraging, fast-paced atmosphere. Nicky is very motivated to offer her help so young girls can pursue their interest in IT with confidence. She demonstrates her passion to show them that they too can have a strong place in the industry. Nicky also runs workshops and competitions for the National Computer Science School as an outreach officer. This PhD student in Natural Language Processing will be joining other notable speakers in the largest startup conference in Australia, SydStart 2015.